I’m pretty sure that I don’t buy vehicles like normal people. I also think that the current dealer sales model exists because people don’t share information about their car buying ideas. So I’ll do my part to share some info. I’m definitely not saying this is the right/best way to do it, but if you’re thinking about buying a car and you’re masochistic enough to read this whole post, maybe you’ll find a tidbit or two that are useful. First of all, let me say that I think it’s ridiculous that in 2016 I have to talk to a middleman to buy a vehicle. I can completely build out my vehicle on Ford.com. Why can’t I be given a fair price there and purchase it? I get that we need dealers to service vehicles and they could also provide test drives and be an escrow service and/or a bank loan service, but it’s very frustrating that I have to haggle with a bunch of dealers to get a good price when everybody is selling the exact same thing. The whole business model seems antiquated. That being said, you can still work the model to your advantage but it takes some extra effort. Before I dive into the process, let’s make sure we are clear on some terminology. MSRP: This is the “sticker price.” It’s what you see if you build a vehicle on the Ford website. Nobody should pay this price. Invoice or Dealer Invoice: This is what the dealer pays to Ford to get the vehicle. Some dealers will try to argue that they can’t go below this number or they will lose money. If somebody tells you that, walk out of the door. You don’t want to deal with someone who lies to your face. Dealer Holdback: Ford periodically sends dealers a check that equates to 2-3% of the invoice price for every vehicle they sold. Why? I don’t know. But if you negotiate well, you can dip into this money to get below invoice pricing. A/X/Z plans: Ford offers special deals for employees, family members, affiliated companies, etc. As the nephew of a Ford employee and also through my company, I’m eligible for the X Plan. This roughly equates to invoice pricing. You walk in and get a flat price with no negotiation and that price is pretty good. The A Plan is the best deal. It equates to invoice minus holdback. Dealer discounts: These are bogus as far as I know. It’s a “discount” that the dealer gives you. But in reality they just start with a higher price and then give you the discount off of that. The discount is never going to get you below invoice minus holdback. Factory rebates/incentives: This is money that Ford pays back to you for buying a vehicle. It could come in the form of low interest loans. With these rebates, you CAN go below that magical invoice minus holdback line. Don’t include these in your negotiations. These are exactly the same for every dealer and they don’t cost the dealer a dime. I started my detailed research back in September. I found a couple forums that focused on the Ford F150 because I knew that’s the truck I wanted to buy. 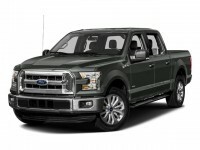 The best one I found was f150forum.com. That place is a gold mine of information about F150s. The most useful things I found were the official order guide and price sheet for the 2016 F150. This was key because it let me know the invoice pricing was for the exact truck I wanted. I knew I could fall back on the X Plan but I wanted to see if I could beat it. There were a large number of people in the forum getting trucks for ~$500 under invoice and even a few getting it for $1000 under invoice. The holdback on my truck is somewhere around $1500 so I knew that was my absolute bottom line. The forum taught me that there are three fees that you can’t avoid: Destination, Fuel, and Advertising Assessment. Some dealers might say they aren’t charging you for them, but they have to pay those fees so they’re just tacking on more money to your price somewhere else. It’s all part of the invoice price so stick to invoice price as your negotiation point. That order guide also alerted me to the fact that the Heavy Duty Payload option that I wanted was not going to be built until the first quarter of 2016. That meant there was no point in being in a rush and I also shouldn’t expect to get my truck until summer. In a good scenario, it takes 10 weeks to get your truck from the time you place the order. Add on some delays and the delayed start to production and I’m looking at a long wait. The forum also taught me that it was customary for dealers to ask for a $500-1000 deposit when you order a vehicle. This gives them a bit of protection in case you order a weird configuration and then decide you don’t want it. You forfeit that deposit and they can now pass that money on to the person who eventually buys it in case they need some extra bargaining room to offload a weird vehicle configuration. I put the shopping off until after Christmas, but when the New Year rolled around, I had the final conversation with Tyla and then we moved ahead. We didn’t have a great experience with Ford of Kirkland when we bought the Escape. The overall dealership was fine but our sales guy was the stereotypical car salesman. I wasn’t eager to chat with him again so I reserved that dealer as my X Plan dealership. You’re not supposed to haggle and THEN pull out the X Plan so if I wanted to use the X Plan, I’d just walk in the door fresh and ask for it. I did a search for all the Ford dealers in about a 1.5 hour radius. My first contact, for no particular reason, was Harris Ford. I wanted to get one quote in hand to make sure that everything matched up with my expectations before blasting off to a bunch of other dealers. After waiting two days and hearing nothing, I sent the same thing to Evergreen Ford. My phone rang immediately and within an hour I had a quote in my email complete with invoice pricing listed. They quoted me $700 above invoice. I knew I could beat that but it was a starting point. With that quote in hand, I contacted eight more dealers. Unfortunately, not all of them had their act together. For example, it took Harris Ford 6 days to finally contact me. Marysville Ford never replied to me. Lots of the dealers appeared to be using the Motosnap CRM (Customer Relationship Management) tool to handle incoming customer contacts. Lots of dealers also appeared to have very little idea how to use the tool correctly. I got lots of duplicate emails listing different sales people from the same dealer who were supposed to contact me, letters from the manager asking if I was happy with the service even though nobody had contact me, and lots of other goof ups like that. Pretty much every dealer except Evergreen Ford and Autonation Ford Lincoln Bellevue should do a very detailed audit of how well their employees are using the CRM tools. It’s a mess and very quickly gave me the impression that a dealer was old-fashioned and didn’t understand the internet. I was focused on dealers who were happy to converse over email because it was so much easier to organize emails than voice mails. After the dust had settled, the Bellevue dealer was in the lead. He STARTED with a quote of $500 under invoice. That guy got it. He knew that I was a savvy internet shopper and knew that I’d be getting quotes for somewhere around, or just above, invoice so he started low. Honestly I still feel a little bad about not ordering from him. But because I had started with Evergreen Ford and they had scheduled a test drive for me the following weekend, I had started to build a relationship with them too. I also respected them because they were the only dealer to show me the invoice pricing along with their quote. Before the test drive, I told my contact that I’d be coming in with my wife and a 2 year old and that I only had about 30 minutes to spend at the dealer before we had to go to another appointment. We almost walked out because their morning sales meeting ran late, but in the end, I stuck around to see how he would react to the delay. Once I saw his reaction, I was glad I waited. I felt like he was honestly thrown off his game and on the defensive. It was a good spot for me so I stuck with it. We hurried off after the test drive because we had to, but I think it was a good negotiation tactic anyway. Dealers hate to see you walk out their doors because it’s so easy for somebody else to sell you the exact same thing. Via email and phone later that weekend, I got them to beat the Bellevue price by $100 so it was a total of $600 under invoice. Pretty much every dealer I talked to said “Call me at the end and I’ll beat any price you have.” That bugs me. Just give me a good deal from the beginning. The problem is that no dealer wants to lose a sale for $50 or $100. Well, I didn’t want to keep shopping around and before I got the $600 quote, I said if they gave me that price, I’d stop shopping. So I held to my word and happily ended the process. Could I have shopped it around for another hundred or two in savings and left lots of angry dealers in my wake? Yeah, but I don’t have the stomach for that. My final price was part way between the X Plan price and the A Plan price, right in the sweet spot of the target I set out before this began. From that point it was easy. I walked in, signed the order form to verify that they were ordering the right options, paid my $1000 deposit and then began the long wait. The only other thing I did was get it written in an email that they wouldn’t automatically tack on any of the dealer extras and then try to charge me for them (like paint protection, theft recovery systems, etc.) Some of the sleazier dealers will do that at least for their cars on the lot. Once the order makes it into the system, I should be able to track it myself without bugging the dealer. That same F150 forum also has instructions for how to use the Ford Order Tracking system to get extra information about your build. So what are my summarized pieces of advice? 1. Know the invoice price for your vehicle before you talk to anyone or at least demand to see it as part of your quote. 2. Talk to at least two dealers so you can have some negotiation leverage. Negotiate in terms of the invoice price. Don’t include factory rebates or incentives in the discussion. 3. You can and probably should consider doing all of this from home over the internet and the phone. So many of the sales man tricks only work once you’re sitting at their desk and they know you can’t talk to other dealers. 4. After you’ve got that locked in, THEN you can talk about your trade-in value. And after you get that locked in THEN you can talk about service plans, etc. Don’t let them try to do all those numbers at once because they’ll take money off one and hide it in another place. At that point it’s like trying to squeeze a fat man into tiny pants. No matter where you push, something always pops out. What would I do differently next time? I think instead of just asking all those dealers for quotes, I would also tell them that I’m blasting out the quote to however many dealers and say that whoever gives me $1000 under invoice first will get my business. That would save all the back and forth about “Call me and I’ll beat any deal”, and if nobody wanted to play ball then I could still go back with a higher offer. That also gives everyone an equal chance and doesn’t favor people who contact me first, give me a test drive, etc. It’s probably a lot faster than what I did too. Features are definitely a subjective choice. The nice thing about ordering your own truck is that you can get exactly what you want. I chose to spend my dollars on the hauling, towing and off road capabilities of the truck rather than for interior creature comforts. Yes, I live in a subdivision and no, I won’t need to haul a ton of rocks very often. But I feel like I’m less likely to regret buying a truck that can handle a lot of situations safely than I am to regret not having heated leather seats. You’ll notice that I did spring for Sync 3 and the Navigation package though. After being underwhelmed with the My Ford Touch Sync 2 in Escape, I was all set to save some money and skip it in the truck. But Sync 3 is a completely new system and it looks like a lot more of what I want in a car computer. Specifically, it puts a lot more of the workload onto the phone which can be upgraded and replaced a lot easier than the truck. It will be support Android Auto next year and we’re probably switching to Android at the end of this year so that will work well for me. I hope to have this truck for a very long time and make a lot of good memories with it. I’m looking forward to using it to haul bikes to family bike ride spots, go camping, and explore mountain roads in addition to more regular tasks like hauling things to the dump and buying wood. I’ve never owned a truck as a daily driver so that part makes me a little nervous but I’m pretty confident that this is a good decision. You’ll probably hear a thing or two about this when it arrives my house this summer.